The Royans Professional Vocal School offers unique and Revolutionary singing lesson programs which enable practically everyone to realize their desire of expressing themselves and their hearts and souls through the gift of singing skill. 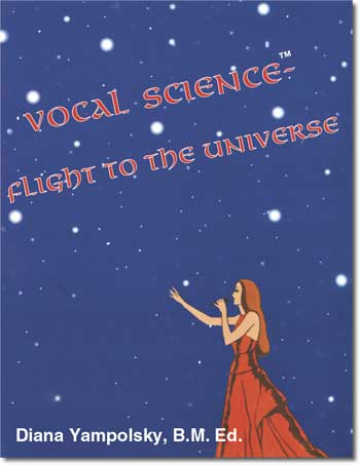 "The Vocal Science™ method provides the person with safe and lasting singing capabilities and overall voice/vocal technique." The philosophy of the Vocal Science method is, via special speech and singing exercises, the one's voice will be lifted off of the vocal box and off of the vocal cords and restructured to the set of facial muscles, (cavities), which will play the role of the natural resonator or, so to speak, amplifier. Those facial muscles, then, will begin to work in full conjunction and coordination with the abdominal muscles, (for the support and lift of the sound), and thus, the use of the vocal anatomy will be significantly minimized. In this instance, the voice will begin to work in the fullest capacity possible and with no pain or strain on the vocal anatomy whatsoever. With the minimum effort, Achieve the Maximum Result. Sing within the structure and not by ear, but upon design. To learn about our philosophy and view on the singing voice and vocal performance, please read below and more in our "About Us" section HERE". You can also check out our blog, "A Voice Apart", for informative articles about the human voice - located HERE. 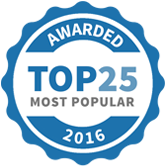 Want to know more about our Courses and up-coming events? See our "Vocal Workshops" section HERE". 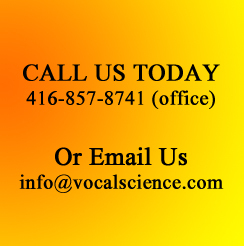 You can also sign up for our newsletter (Located at the bottom right of our site), and contact us to experience Vocal Science, first hand. Is it possible to become a decent or even a professional singer in a matter of hours, and not years? The Ordinary Singer Vs. The Extraordinary Singer... Is Being Good-Good Enough? “I’ve known Diana Yampolsky for quite a while. I took lessons from her since I was 17, which would be now 10-11 years ago. Due to family circumstances, I had to take quite a significant break and now almost 10 years later, I am back into her studio. Due to heavy-duty emotional impact, my throat nearly closed and I was not able to squeak a sound for the longest time. When I came back to experience more of Vocal Science and also treat my vocal anatomy, and along with that get into the needed balance, I realized that singing and music is my calling, and my life assignment. Diana has done a lot of counselling with me, as well as, a lot of herbal and homeopathic treatments for my voice and for my physical and emotional being to bring me back on track. It took some time, but now my voice is ready to soar. My vocal anatomy is strong and healthy and can withhold any amount of sound. I can last for hours and my voice will never get tired. Mentally and emotionally, I am now very healthy. However, physically, I need to do more work to have greater endurance, as I’m preparing for big performances, which might take a lot of energy and quite a bit of effort to stay yet again, strong and focussed- physically, mentally, emotionally and vocally. My total fitness is almost complete and along with that, my life has become much brighter and much more hopeful, as ever since I was a little girl, I knew that all I ever wanted to do in my life was sing and also to make other people happy listening to me. It looks like my dream is just around the corner to be realized. My family life is much better now; I don’t get depressed easily as before and if I do feel a little blue, I do remember that I have a big goal in life to achieve-to become a professional singer and thus to feel happy for the rest of my life. Between seeing Diana when I was a teenager and now when I’m in my late twenties, I had a rough patch to go through including my own marriage and not just my parents’ who unfortunately had to split up. My marriage has also benefitted from me being healthier, happier and wanting to do more things in life. My husband is now much happier also, as he finally got back his partner in life who is ready to share all the ups and downs with him and be strong and stronger when needed. I hear the music in my ears not only when the music plays, but at all given times, but when the real music plays, having Vocal Science technique under my belt, I am ready to sing, and if needed dance and definitely enjoy the beauty of music, singing and needless to say, overall happiness of my heart and soul.